Attention all puzzle fanatics and math lovers! September 9 is International Sudoku Day! The World Puzzle Federation established this day and the date chosen (9/9) is symbolic within Sudoku. Sudoku is a logic-based number puzzle in which the objective is to fill a 9×9 grid so that each column, row, and 3×3 sub-grid contains all the digits from 1 to 9. The name itself means “single number.” Number puzzles have been around since the 19th century, but Sudoku as we know it did not appear until the 1980s and did not appear in Western newspapers until 2004. Despite being fairly new in the world of puzzles, it has managed to ensnare millions of people eager for a challenge. There is even an annual competition that has been held since 2006. It seems we just can’t get enough of it! There’s no better way to observe International Sudoku Day than to solve some Sudoku puzzles! You can do as many or as few as you want, but we encourage you to challenge yourself. Try a level harder than you usually would. You can do them in the morning with breakfast, during your lunch break, or in the evening with a glass of wine. Run out of puzzles to solve? Make International Sudoku Day the day you replenish your puzzle supply. If you’re Sudoku connoisseur, hunt around for the most challenging puzzle book you can find. If you are new to the world of Sudoku, there are plenty of entry-level books for you. So go out and get a new book and solve those puzzles like there’s no tomorrow! 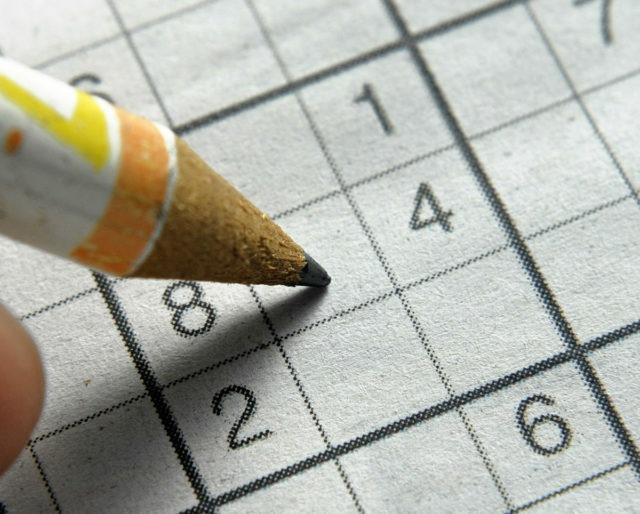 Sudoku doesn’t have to be a one-person activity. Take the challenge to the next level by competing against your friends! Whoever solves the puzzle first wins. You can all take part at the same time or create brackets to narrow it down to the best puzzle solver. The winner gets bragging rights for at least three days. We all enjoy a good puzzle. Word searches, crossword puzzles, and Sudoku are all popular games to play and have been for decades. We grow up with them, solving them in school and in newspapers, and they don’t lose their appeal in adulthood. Some of us love visual puzzles and go for word searches. Others love word games and prefer crossword puzzles. If you love numbers, math, and logic, Sudoku is a puzzle that is right up your alley. It’s fun to be challenged and Sudoku is excellent at making us think. There are varying levels of difficulty that ensure the level of challenging we desire is suited just for us. Yes, it can be frustrating sometimes. You may have thrown your Sudoku book at the wall in frustration (it’s okay, we aren’t judging you), but you are all the better for the challenge and deep down, you know you love it. Actively participating in things that exercise our brains, especially those that involve math, are great at keeping our minds sharp. It can increase your focus and concentration as well as alleviate depression. Studies also suggest it helps in preventing Alzheimer’s disease and dementia. Who knew a puzzle could be so good for your health?